Could you tell us a little about yourself and your reptile experience? Like many in the reptile industry I grew up with a fascination for animals and had many pets. My most memorable reptile pet was a wild caught reticulated python named Trent that I had as a teenager. This wasn’t a very good choice at all, and after it escaped the cage one time, my parents made me rehome it. Not long after that, I discovered a local expo and realized the many great captive options that are available. Years later as an adult, after watching my own kids enjoy handling snakes at an alligator farm, I bought a female Het Red Axanthic Pastel ball python named Angel. One led to more, and we successfully bred them too. We’ve kept other reptiles as well, including a Gulf Coast Toad “Buddy”, and a Leopard Gecko “Lizzy”. We’d like to enjoy many different species. How did you get the idea for MorphMarket and how does it work? I was very dissatisfied with the technology available to locate specific animals even though I knew they were out there. Sifting through the reptile websites, which are no more than lightly modified forums, took ridiculous amounts of time. MorphMarket by contrast is completely custom software designed to understand the genetics of the animals. The ads aren’t messages in a forum, but are items in a searchable inventory. 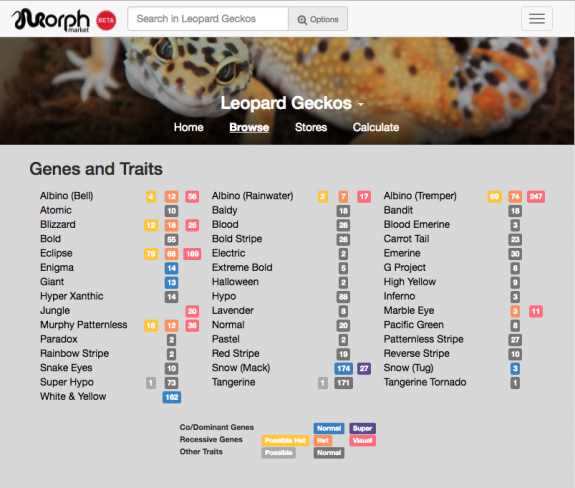 Not only can users browse all animals by genetics, but they can type in search queries including genes and trade names in free-form text. 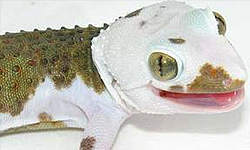 For example, the query “female sunglow” expands to “female super hypo tangerine tremper albinos”. We also provide genetic calculators using the same technology. Our system makes it quick and easy for sellers too. We pioneered the Bulk Import capability which allows breeders to create and manage hundreds of ads by importing their existing price list in just seconds. You originally developed MorphMarket to sell snakes. 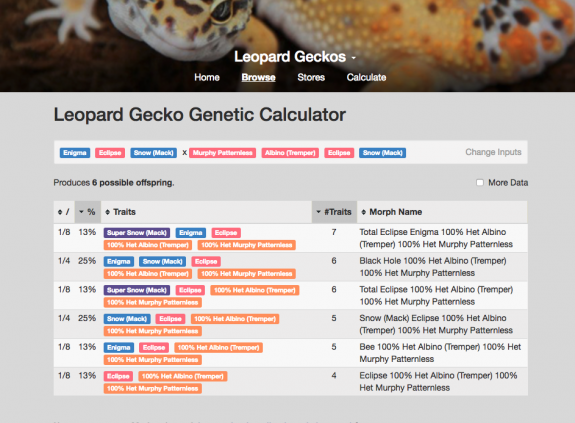 What led to your expansion to leopard geckos? We focused solely on Ball Pythons at first because we wanted to make sure to do one thing really well. However, once it became successful in that community, it only made sense to generalize the capabilities so that other parts of the reptile community could benefit as well. Leopard Geckos were a natural entry-point into a whole new area of reptiles. 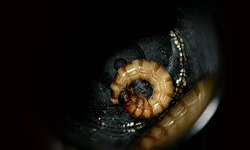 There are many sales websites and classifieds on the internet focusing on reptiles. How does MorphMarket distinguish itself from the others, and in what way do you feel it will be more successful? The unique technology we’ve developed would be almost useless without marketplace traction. 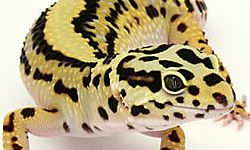 But we currently have 70 Leopard Gecko breeders with ads posted, and close to 1,000 Leopard Geckos for sale in total. I don’t know anywhere else that you can search that size of an inventory accurately indexed by genetics for instant search results. 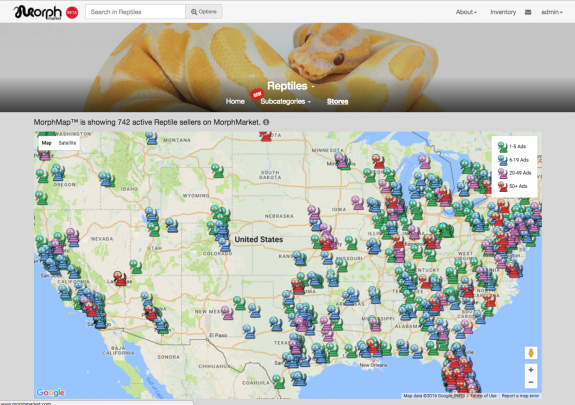 Most online reptile commerce involves several kinds of websites: Classifieds, Social media, and Breeder sites. These are complementary and consumers should make use of all three types as they explore their buying options and vet the sellers they’re interested in. However, MorphMarket is a great place to both start and end one’s buying process due to our powerful and extensive search as well as our convenient messaging system to communicate with breeders. Those interested in more detail should check out the list of about 15 features differentiating MorphMarket from alternatives on our How It Works page. Do you track actual sales in any way? If so, do you have any data regarding your success? Our site has only been up for about a year, but our growth rate has been very strong. The marketplace has over 700 breeders current listing reptiles for sale. Since inception we’ve had over 20,000 ads posted. Tracking actual sales is difficult because breeders do not close sales directly through our website. Instead we monitor metrics including visitors to the site (which are thousands per day), and quantity of inquiring user per species. Of course, Ball Pythons is our oldest and most mature marketplace, but the others are growing nicely as well. What plans do you have to expand the number of species you currently advertise? To date we’ve released Ball Pythons, Leopard Geckos, Boa Constrictors and Reticulated Pythons. Right now we have Crested Geckos, Corn Snakes and Hognose Snakes “staged”, where breeders can join and list their ads right now in preparation for the public launch of these marketplaces. People wonder why we haven’t put out more species faster. The rate of our expansion has not been limited so much by the difficulty of adding additional reptile species, but because we spend a lot of time continuing to improve our marketplace for the existing areas. This means MorphMarket is better each time we open up a new market. You can expect to see us rolling out new species at an increased rate. To vote for a particular species, sign up and you’ll have a chance to indicate your buying and selling interests. This will influence the order in which we release new species. What are you hopes and plans for MorphMarket in general? Beyond providing the existing capabilities to all species, we are also planning to extend our services to other parts of the world. MorphMarket serves primarily the domestic US at this point due to the complexities of international shipping, but we have a lot of overseas interest. Look for a European MorphMarket soon. Is there anything else you want us to know about MorphMarket? MorphMarket is currently free for buyers and sellers. As our markets for certain species reach a certain level of maturity, we will introduce premium plans for sellers. These will include exciting features not yet available, which will better help breeders to distinguish and brand themselves as well as run their business more effectively. However, we’ve never been in a hurry to charge for money. Our goal is to first provide ample value to our users. We are deeply grateful to our community of enthusiastic users. Their constant feedback, encouragement, and help in spreading the word to new users have been a powerful motivation to keep us building MorphMarket bigger and better. Be sure to check out MorphMarket for yourselves! Great interview highlighting the site. Sounds very cool to have ads searchable by genetics. John is a great guy. I’ve been trying to get more crested breeders on MM because I firmly believe it’ll become THE place to buy herps.